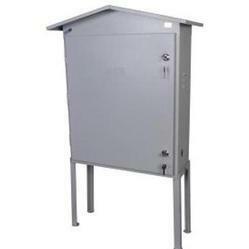 Magnum Three Phase Pump Control Panel OUTDOOR PANEL is a powerful controlling device for your submersible pump made with heavy duty components, it protects your pump from hazards caused due to over-current and voltage. Rugged MaU/ MaK-1 Contactor with wide voltage band (220-440V). 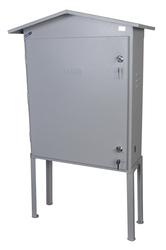 Fitted with MaU/ MaK-1 type relay for reliable overload protection. Fitted with earthing screw fo safety measure. Fitted with Toroidal preventer & auto start unit which is used to switch on three phase motor/pump automatically & to protect them against wrong phase sequence & single phasing with dry run protection. Fitted KIT KAT type Fuse to protect the motor against Short Circuit Protection. Fitted KIT-KAT type Fuse to protect the motor against Short Circuit Protection. Fitted Three Pole MCB for another protection for Short Circuit Condition.